Optimal Oral Health outcomes are our primary concern at Paul Beath Dental. From birth onwards we support our patients using advanced gold standard preventative and screening models through all life stages, including periods of systemic illness. For this reason we are absolutely honoured to partner with The Big Hug Box. These Big Hug Boxes not only help say the words you cant find, they are also highly useful in supporting patients receiving cancer treatment. We are proud to announce the addition of Hylodent Gum Serum, to the bespoke collection of care products found in The Big Hug Boxes. Hylodent Gum Serum is the perfect oral care product for patients receiving cancer treatment who may suffer from mucositis. Hylodent Gum serums concentrated dose of hyaluronic acid soothes and lubricates the mouth for targeted intensive care. Thank You Lisa for your continued support and amazing work you do. 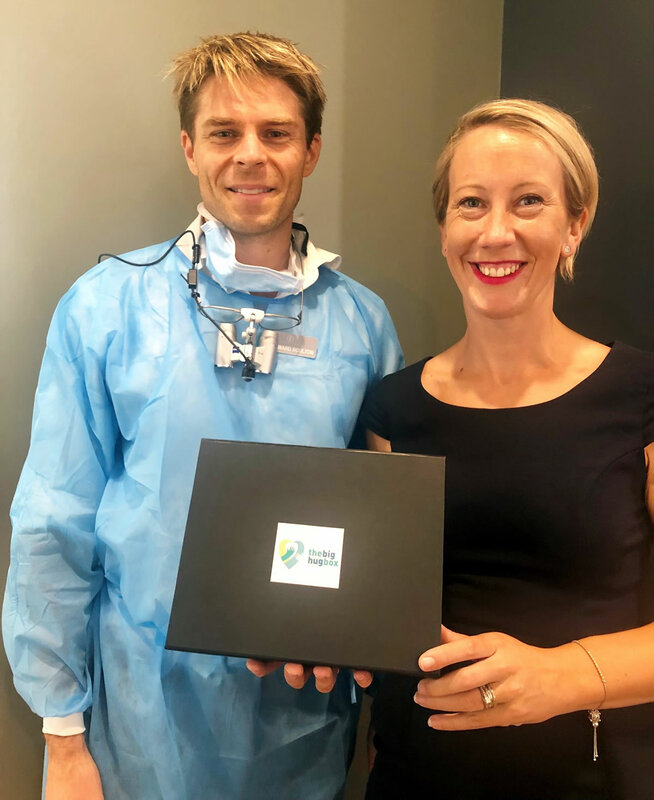 Thank you also Sandy from Xand Dental Innovations for supplying us with the first travel sized Hylodent Gum Serum in Australia. These two women tirelessly and selflessly serve the community, truly making this world a better place.